Shopping is A. Big. Deal. in Dubai. Whenever I asked people who live there what I should see and do, the answer usually included shopping. I am very much NOT a shopper. I enjoy shopping with friends, but that’s more about the friend than about the shopping. I just don’t have the patience for all of the trying on, taking off, trying on again. And the walking. And the schlepping shopping bags. While the tourist map the concierge at my hotel handed to me listed 35 shopping centers and malls, the two most often mentioned were the Dubai Mall and the Mall of the Emirates. I visited both. 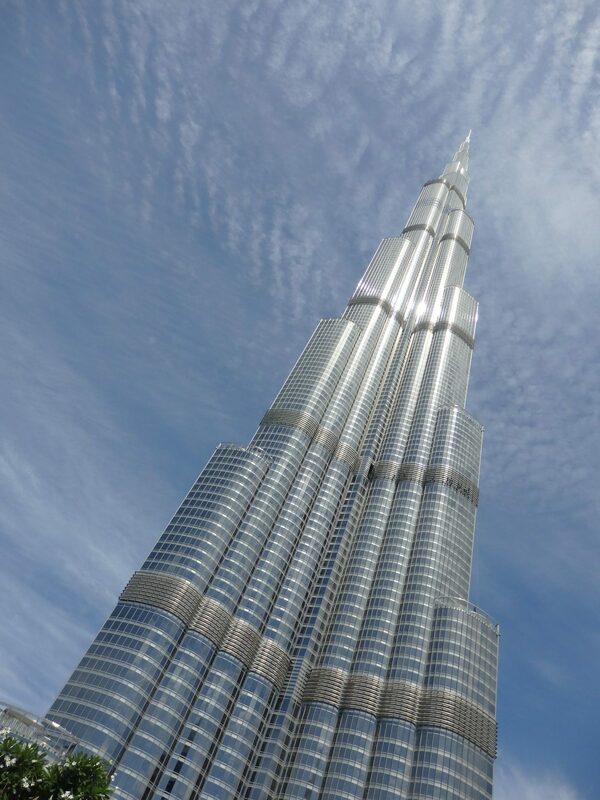 For lots more things to do in Dubai, read this post: One Day in Dubai: what to do? This mall is new and shiny and light and clean, and contains an amazing array of stores: 1200 retail stores, plus 200 restaurants and cafés. It has a Diplodocus skeleton, an aquarium, an indoor theme park, an ice rink, cinemas, and on and on. 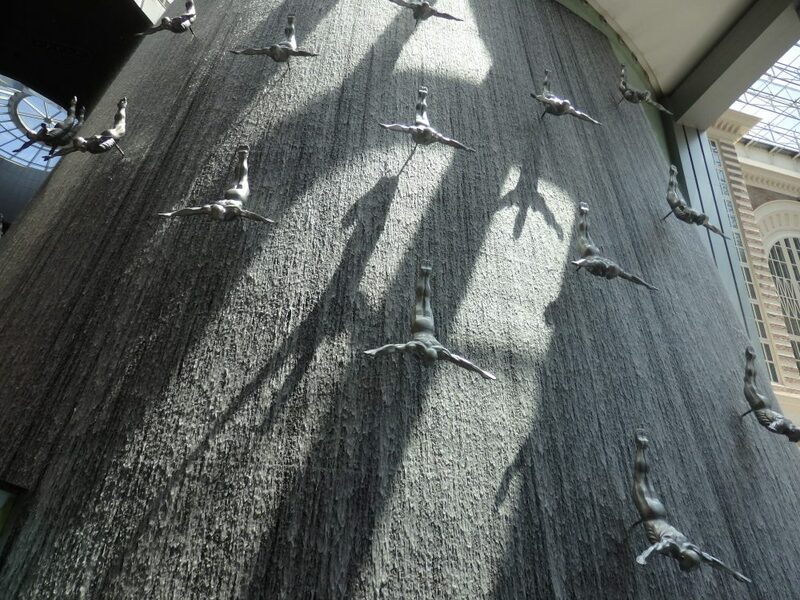 An indoor waterfall at Dubai Mall. In other words, it’s completely over the top. Which matches the Burj Khalifa quite well. Calling itself “the world’s first shopping resort,” the Mall of the Emirates is older and, if possible, even more over-the top than the Dubai Mall. The décor is distinctly more ornate, especially in the main hall. The stores, though, are a similar range of top-end and top-price designers like Tiffany and Gucci. It’s smaller, too, although with 560 stores and 90 cafés and restaurants, it doesn’t feel small. 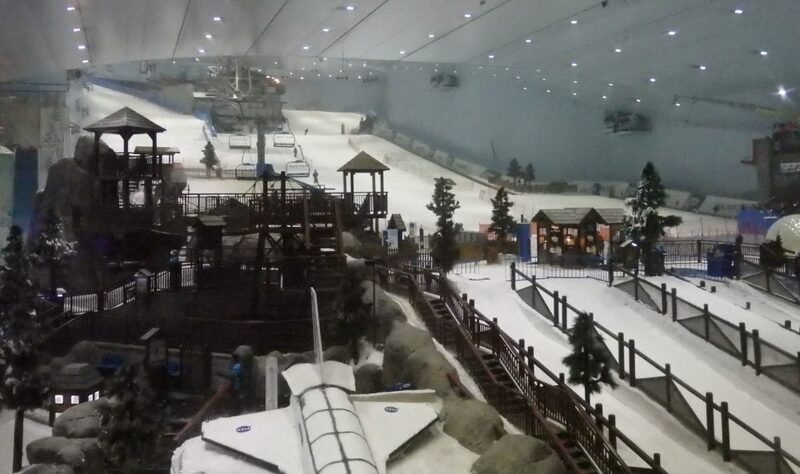 This mall is home to the famous indoor ski slope, Ski Dubai, which is why I went there: just to take a look. For about €50, you can ski for two hours, for €80 you can spend the whole day skiing. Where it almost never rains, never mind ever seeing snow. Ski Dubai, as seen through one of the observation windows. They wanted to charge me the non-skiing entrance fee (more than €60) to go inside. The area in the foreground is mostly for variations on sledding. In the over-air-conditioned interior of the mall, however, it’s easy to forget how hot it is outside. In the summer, it often exceeds 40°C (104°F). How much energy must it take to keep this indoor ski slope refrigerated to -4°C (25°F) year-round? The clientele at both malls was more interesting to me than the shopping. 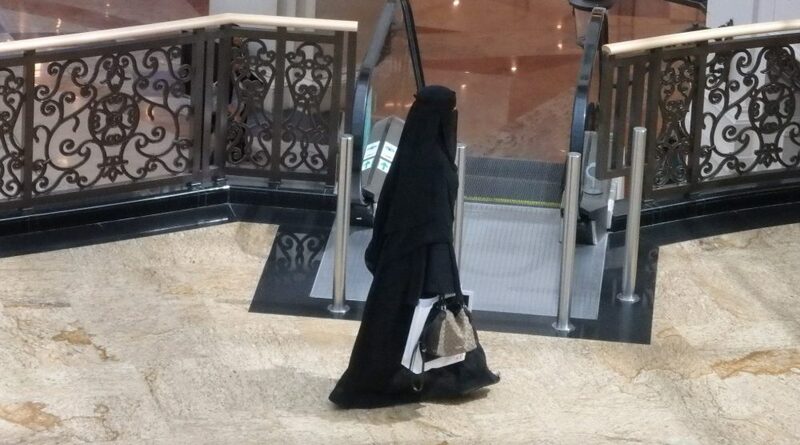 The women shoppers ranged from extremely scantily-clad, carefully-made-up stick figures tottering on high heels, to women in an abaya (a long, loose black robe) and hijab (headscarf) and sometimes even a niqab (covering the face except for the eyes). Most of the men, no matter their national or ethnic background, wore western wear—a shirt and trousers—but a few wore simple, long, white caftans called dishdash with a traditional headscarf called a keffiyeh. Dubai is a very multicultural place, and that description applies at both ends of the social scale. The manual laborers I saw—sweeping the subway station, for example, or keeping those mall floors impossibly shiny—mostly come from various countries in Asia and Africa. The wealthy shoppers in these malls also came from many different countries in Asia and Africa, but included white westerners from North America, Europe and Australia. As for the shops, they were extremely chic: some were the kinds of stores with lots of empty minimalist-designed space and just a small rack or two of clothing. I noticed that only the lower-end stores—and I don’t mean cheap stores because there weren’t any—had any signs in them about sales. I guess if you can afford to shop at Chanel or Prada you aren’t particularly concerned about price. Seeing these malls as destinations, as many obviously do, puzzles me. Even if I was a millionaire, I’d hate shopping. And if I was a millionaire and needed anything, I’d just hire someone else to do the shopping for me. Despite my hatred of shopping, though, I enjoyed my walk through these malls, especially the people-watching. 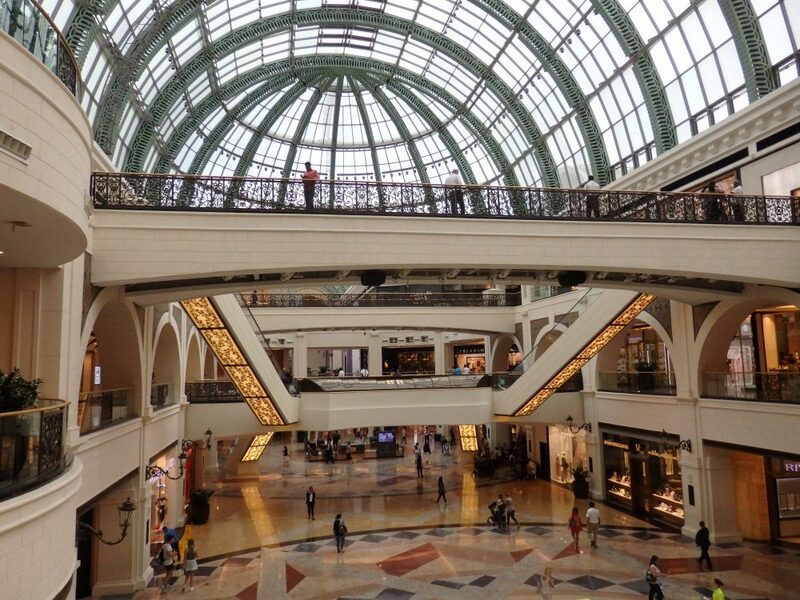 Chances are, if you go to Dubai, you’ll end up in one or another mall whether you intend it or not. Don’t feel you need to buy anything; just enjoy the experience. Go to the Dubai Museum. Although even that is not authentic (nothing is, in Dubai, not even the souqh!) it is worth a visit. What a splendid photo of the waterfall! Divers? Or is that part of the design? It’s an artwork. Quite pretty, isn’t it? Nice to know I’m not the only one! I am wondering about the range of the prices in the Mall. 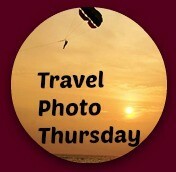 It looks so luxurious so I wouldn’t doubt that anything would be expensive – well from the eyes of a tourist of course. I am not a shopper either, so I can feel you on that. Great experience and amazing photos! The only shop I entered was Microsoft to find out the price of a Surface 3, which, it turned out, hadn’t even arrived in UAE yet. The prices of other models of the Surface were comparable to here in NL. No idea about the other stores, but there were no sale signs in the Tiffany’s window!